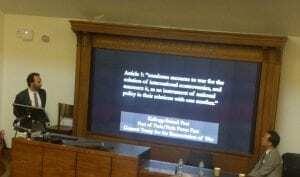 On 22 November 2016 Devika Hovell, Associate Professor in Public International Law at LSE, spoke at UCL. She discussed the authority of the UN Security Council (UNSC), and its nature. At the outset, the speaker observed that there was little interest among international lawyers, and even less so among the international organisation lawyers, in adopting theoretical approach to international law. Instead, the law of international organisations was developed by practitioners, often in a patchy manner and in response to specific practical challenges. In this process of development, it were the positivism and realism that guided and controlled the development of this legal discipline. In this regard, the speaker referred to Dworkin’s advice to lawyers and philosophers to improve ‘the jurisprudential discussion of international law’. In pursuing her goal to develop a concept of the UNSC’s authority, Devika Hovell challenged two orthodoxies. The first orthodoxy, from the domain of international law, reflects the idea of State consent as a source of the UNSC authority. According to this positivist approach, the authority emanated from Articles 25 and 103 of the UN Charter that imposed on the States an obligation to comply with the UNSC decisions and established the primacy of the States’ obligations under the UN Charter. In the opinion of the speaker, the State consent based on a singular act of the State’s consent to the UN Charter, was not sufficient of a basis for the UNSC authority. The justification of such authority had to be more complex. 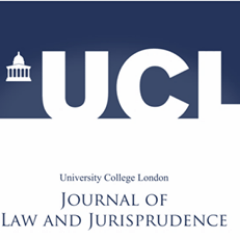 The second conventional wisdom that Dr Hovell sought to deconstruct concerned the jurisprudential domain. Under this orthodoxy, individual autonomy constitutes the ultimate source of the authority of international law, and thus it is the objective of safeguarding the individual autonomy that endowed international law with authority and State autonomy with value. However, in her opinion, this approach does not fully reflect the place of the State and the State interests in international law. It also does not take into account that international law commands authority over States, and not individuals. The individual autonomy-based approach can also be said to be unsuitable for explaining the authority of the UNSC since the latter is primarily focused on the collective responsibility in the face of common threats rather than on promotion of individual interests. The authority of international law rests primarily on the belief and conviction of those to whom its rules are directed, that they have a role to play in the rule of law itself. Dr Hovell noted the view expressed by Sir Michael Wood in the course of the Iraq Inquiry. Addressing the comment that the absence of a court meant essentially that states could interpret Security Council resolutions as they wished, Sir Michael Wood replied that; “[T]he absence of a court, I think, is a reason for being more scrupulous […]. Dr Hovell proposed a grundnorm for the authority of the UNSC that would be based neither on State consent nor on individual authority, but will be grounded in the idea of ‘shared responsibility’. In this regard it is necessary to consider two aspects of the UN Security Council authority: ‘representativeness’ and ‘purposiveness’. UN Security Council has often been criticised as being unrepresentative. Legitimising its authority would entail the idea that this authority is ‘shared’ with others. Although most theoretical accounts focus on authority held by a single actor, in contemporary international society there are multiple locations and levels of public authority and individuals are increasingly subjected to various overlapping authorities. There is thus a need to separate the authority from sovereignty as well as from the notion of exclusivity. Quoting the writings by Nicole Roughan, Dr Hovell referred to the concept of ‘relative authority’ which reflects the idea of isolation of authority from sovereign power ‘in order to consider its operation in circumstances of plurality’. Dr Hovell concluded by noting that some have argued that the main problem with the UN Security Council does not lie in its lack of resources or unrepresentativeness, but rather in the lack of any agreement as to its purpose. In the speaker’s opinion, the purpose of the Security Council could not be spelled out in a document of a constitutional nature. Instead, Dr Hovell proposed a procedural and responsibility-based approach to the question of the legitimacy of the UNSC. On 26 October 2016 Dr Veijo Heiskanen gave a lecture at UCL on “the Artefact of International Jurisdiction: Concept, History and Reality”. 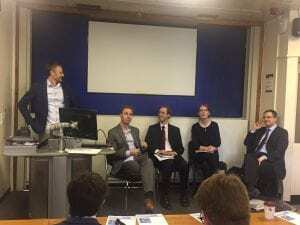 The panel was chaired by Dr Martins Paparinskis (UCL); Alison Macdonald (Matrix Chambers) and Dr Gleider Hernandez (Durham) served as commentators. Dr Heiskanen addressed the provenance of the concept of international jurisdiction, which generated the development of preliminary objections. On this point, he referred to the Jay Treaty arbitrations, and explained that the commissions created by the Jay Treaties were the first international tribunals operating on the international plane. At the wake of these arbitrations, several other international arbitrations were conducted in the course of the 19th and the early 20th century. The tribunals that were created to deal with these claims were usually based on a compromis, a submission agreement that referred to international arbitration a dispute that had already arisen. The fact that these tribunals’ jurisdiction was based on a compromis meant that it was difficult to challenge their jurisdiction by way of a preliminary objection. The sole objection the respondent State could raise to the jurisdiction of the tribunal was to challenge its jurisdiction to decide on its own jurisdiction – its “competence – competence.” However, while it was difficult to challenge the jurisdiction of an ad hoc tribunal operating under a compromis, the admissibility of the claims could still be challenged: whether the claim was really an international claim. Resultantly, a sophisticated set of rules of admissibility were developed by these early courts and tribunals to deal with such objections, and these were subsequently ratified by the Permanent Court of International Justice and became part of the corpus of international law. Under these rules, in order to be admissible before an international court or tribunal, a claim had to be admissible ratione temporis, ratione personae and ratione materiae – it had to be an international claim in all of these three aspects. It had to be admissible ratione temporis, that is, it had to be ripe for international jurisdiction in the sense that local remedies had been exhausted. It had to be admissible ratione personae in the sense that that the claim espoused by the claimant State had to be owned by a national of that State and not by a national of the respondent State, and it had to be admissible ratione materiae in the sense that it had to be based on a prima facie breach of an international legal obligation and not on an alleged breach of municipal law. Only if these criteria – these tests of admissibility – were met, one could say that one was dealing with an international claim. Thus, Dr Heiskanen explained that the rules of admissibility are, historically, about the criteria that a claim must meet, in order to be admissible as an international claim. Having established the above, Dr Heiskanen moved to address the distinction between jurisdiction and admissibility. According to him, this distinction emerged when ad hoc arbitration was replaced by the Permanent Court of International Justice (PCIJ), and when the exercise of international jurisdiction was first institutionalized. The PCIJ, and the other international tribunals that followed in the course of the 20th century, were not ad hoc fora. These adjudicative bodies were rather meant to firmly stand on the international plane, as a permanent presence. For Dr Heiskanen, the creation of these adjudicative bodies also brought about a new category of jurisdiction: the jurisdiction of a particular court. Furthermore, the emergence of these permanent bodies also introduced a new, positivist concept of jurisdiction. 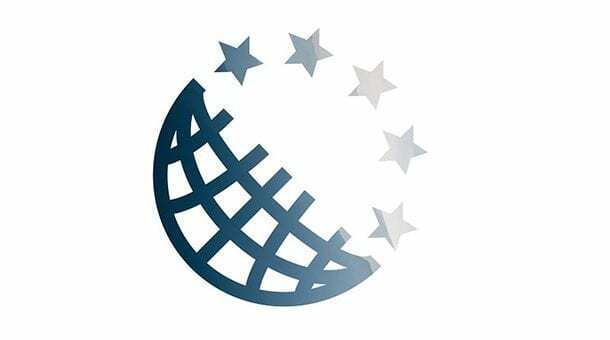 International jurisdiction was no longer a potentiality that would occasionally become an actuality in the form of an ad hoc arbitral tribunal; it became a permanent actuality within the limits defined in the relevant treaty. Dr Heiskanen explained that these limits could be conceptualized, and were in fact conceptualized, in the very same terms as the admissibility of claims before ad hoc arbitral tribunals, that is, in the three familiar dimensions – in terms of time (ratione temporis), person (ratione personae) and subject matter (ratione materiae). Dr Heiskanen then proceeded to delineate these concepts: Jurisdiction ratione temporis, he explained, is not about whether the claim is international in terms of time; it is about whether the claim arose during the time period when the treaty was in force. Jurisdiction ratione personae is not about whether the claim is international in terms of person (i.e., who owns it); it is about whether the claimant falls within the category of the subjects of law governed by the treaty; whether the claimant is among those entitled to appear before the court. Jurisdiction ratione materiae is not about whether the claim is international in terms of subject matter; it is about whether the claim relates to a subject matter that the treaty in question regulates. Finally, Dr Heiskanen addressed the notion of “competence”. He elucidated that while the distinction between jurisdiction and competence was initially seen mainly as a matter of legal terminology, the two concepts gradually came to be seen as different or at least potentially different concepts. On this point he stressed that the question of what “competence” really means, in concrete legal terms, and whether it really is a distinct or independent concept, has not been effectively addressed. He illustrated the meaning and application of these concepts. Accordingly, he maintained that objections to competence, in a technical (rather than substantive) sense of this term, may be said to relate to the question of whether a particular dispute falls within the scope of the arbitration agreement, in terms of time, person and subject matter. Thus, for instance, the question of whether the dispute resolution clause in an investment treaty covers pre-existing disputes, i.e., disputes that had arisen before the treaty entered into force, could be characterized as an issue of competence ratione temporis rather than jurisdiction ratione temporis; this latter issue is about whether the treaty covers pre-existing investments, or investments made prior to the entry into force of the treaty. Similarly, the question of whether the alleged breach is attributable to the respondent State may be said to be an issue of competence ratione personae rather than jurisdiction as it is about whether the respondent State is a proper party to the dispute; this issue may arise even if there is no dispute that the respondent State has given its consent to arbitration in the treaty. On a similar vein, the question of whether the claim is based on the treaty or another legal basis (say, ac contract) should arguably be characterized as an issue of competence ratione materiae rather than jurisdiction ratione materiae; in the context of investment arbitration, for instance, this latter issue is about whether the claim arises out of a “covered investment”. Like objections to admissibility, objections to competence therefore tend to be more closely related to the merits than objections to jurisdiction and often they cannot be decided separately from the merits. However, unlike objections to admissibility, which relate to the claim, objections to competence rather relate to the dispute. In other words, they are about whether the dispute is really covered by the treaty in terms of time, whether the State is really a party to the dispute, or whether the claim is really, in substance, a treaty claim. He stressed that this classification may have legal consequences. If an objection to jurisdiction in the strict sense of the term is upheld, the arbitral tribunal has no discretion and the claim must be dismissed for lack of jurisdiction. The same is true for objections to competence. However, because objections to procedural admissibility relate to the claim rather than the scope of the treaty or of the arbitration agreement, arbitral tribunals have a measure of discretion to determine whether to admit or dismiss the claim in the circumstances of the case. Building on Dr Heiskanen lecture, Ms Macdonald and Dr Hernandez offered some observations, referring to recent international jurisprudence. Ms Macdonald referred in her comments to the matter of Mauritius v UK. She explained the significance of the concept of “jurisdiction” by referring to the role it played in the case and the Tribunal’s rather unusual decision to join the jurisdiction objections with the merits of the case, as it forced the UK to advance, for the first time, its arguments on the merits of the case and what happened in the 1960s; from this perspective it was a victory for Mauritius. The Tribunal’s decision to join the preliminary objections with the merits affected the hearings and the way the parties litigated the case, and more importantly it facilitated the discussion of Mauritius’s sovereignty as the dissenting arbitrators upheld the Tribunal’s jurisdiction over some of the Claimant’s submissions and found that Mauritius’s sovereignty was violated by the UK. Dr Hernandez noted that linguistic nuances may offer an additional complexity to the discussion of the distinction between jurisdiction and competence. Thus, the English term “jurisdiction” is not synonymous with the French “juridiction”, while “compétence” in French is not the same as “competence” in English, but rather reflects a broader term, more aligned with the English use of “jurisdiction”. Thus, the distinction between the concepts may also be informed by linguistic subtleties. On this point, Dr Hernandez relied on ICJ case-law, noting that the Court does not use the concept of “competence” (let alone as a separate concept, which is distinct from that of jurisdiction and admissibility). Further, the ICJ usually juxtaposes jurisdiction with “compétence” (the French term). Dr Hernandez also referred to the recent Marshall Islands cases, which illustrate the difference between jurisdiction and admissibility. These cases turned on the existence of a “dispute” between the parties; professedly this constitutes an “admissibility” objection. As the Court asserted that as there is no dispute between the parties, it did not proceed to the merits stage. If so, and given the practical outcomes of this preliminary objection, it is not abundantly clear that this was in fact an “admissibility” objection. 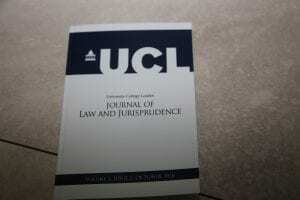 This recent jurisprudence challenges our current understanding of the concepts of jurisdiction and admissibility. By: Asaf Lubin (JSD candidate, Yale Law School and Robert L. Bernstein International Human Rights Fellow with Privacy International) and Ira Ryk-Lakhman (PhD student and teaching fellow, UCL). Us and Jessup: Asaf and Ira participated in Jessup as competitors for the same team (2010/11); we coached several teams (Asaf, Yale and Hebrew University teams in 2012 and 2015 respectively; Ira, UCL for 2014-16); Asaf also served as the Israeli national administrator of the Jessup in 2014, and he is the author of the 2016 Jessup problem; we both have been judging national and international Jessup rounds for some years. September 12, 2016 marked a long anticipated day that will forever change the law school experience for scores of students worldwide. 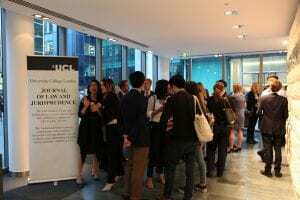 With no exaggeration, it was a day when thousands of law students, practitioners, and academics all looked to one place: the website of the International Law Student Association (ILSA). This is because it was the day ILSA, who organizes the Philip C. Jessup International Law Moot Court Competition, released the 2016/17 Jessup problem, also known as the Compromis. For readers who have been living under a rock, a quick recap of the competition might be in order. The Jessup Competition, often addressed by this mononym, much like Plato or Madonna, is actually named after former ICJ judge (1960-1969), diplomat, and scholar, Philip Caryl Jessup. The competition offers a simulation of a fictional dispute between countries as it unfolds in a case before the International Court of Justice (ICJ). Very few people know that Jessup actually first originated as a friendly advocacy competition between the American JD and foreign LLM students at Harvard Law School in 1960. The competition then expended to other American schools in 1963, eventually opening its doors to foreign teams in 1968. Today more than 550 law schools worldwide participate in the Jessup, representing more than 87 countries. Each team is comprised of between 2-5 participants, with flocks more faculty, practitioners, and alumni providing additional support. These tireless FoJs (Friends of the Jessup) as they are called, take the roles of coaches, advisors, judges, and administrators, and truly are the heart of what makes the Jessup a community. The authors of this post wish to clarify, at this time, that they are lucky enough to be part of this community, and while biased, consider it to be one of their most prized achievements. 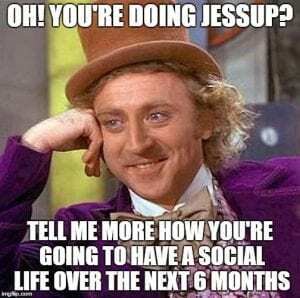 Jessup has truly become a brand in and of itself, and the mere title of a “Jessup competitor” probably gleams more about a person than what may be learned from just going over his or her CV. Nonetheless, as the new academic year just welcomed thousands of new law students, many of whom have probably never heard of the Jessup, we thought it would be useful to provide a more extended explanation as to why we feel everyone should get involved with the Jessup at some point in his or her legal education or later career. This is especially important for us to share, given the concern many students have raised in the past, that Jessup involves an exorbitant commitment of time, and might be difficult to do while maintaining good standing in one’s general law school course work. We thus developed this list which we call the “25 Reasons Why All Law Students Should Participate in the Jessup Competition” and we hope that by the end of it, you too will become Jessup enthusiasts. Starting from the Compromis. Each year the Jessup problem puts forth cutting edge, avant-garde and mostly unresolved legal challenges to its participants. More often than not, the legal questions presented by the Jessup case involve issues that had never been adjudicated by the ICJ. In certain scenarios, the case precedes the actual adjudication of an innovative and largely contested legal issue. In other times, it gives an opportunity to test out what such adjudication might look like, surrounding issues that due to their political volatility, might never find their way to the halls of the principal judicial organ of the United Nations. To illustrate, recent Jessup cases addressed competing sovereignty claims over islands (2009/10), the legality of targeted killings and limitations on the right to wear religious head-scarves (2010/11), recognition of governments and the protection of cultural heritage sites in times of war (2011/2012), the legal status of climate refugees (2012/2013), use of force in the EEZ and the status of artificial islands (2013/2014), the contested annexation of territory à la the Crimean peninsula (2014/15), and the international law surrounding espionage and low level cyber-attacks (2015/16). This year is no exception as it remains as topical, focusing on such issues as illicit transfer of cultural property, transboundary aquifers, the law surrounding the right to water, and what happens when arguable violations of this right generate refugee outflows. The Jessup case normally comprises several interwoven fields of international law, thus allowing participants to broaden their knowledge and research and familiarize themselves with materials that very well may not be taught in their law faculties or offered as part of their regular curriculum. Previous Jessup problems presented a complex mix of sub-fields of international law including admissibility, standing, and jurisdiction issues before international fora; the treatment of evidence and questions of burden of proof at the ICJ; the interrelationship between international human rights law and international humanitarian law; investment law; environmental law; the law of the sea; international criminal law; treaty law; state responsibility; and many, many, many more. Thus, Jessup is not just a good practice for properly analyzing and applying lex lata sources and well-established principles and rules; it rather requires participants to apply public international law theories to real life fact patterns. It forces a large number of talented scholars to tackle head-on politically charged issues through legal reasoning. In that regard Jessup plays its own unique role in further developing international law, through the cultivation of a legal discourse where one was perhaps missing. Many participants and faculty rely on their experiences and research during the Jessup year to then produce notes, articles, and blog posts, that further broaden the academic literature surrounding the topics covered in the case. Indeed if you fact-check us, you would find that many doctrinal contributions originated during or developed subsequently to Jessup. Jessup is all about the research, with students spending months painstakingly perfecting their written briefs, mastering old case studies, and new legal theories. There is absolutely nothing quite like the Jessup, in terms of allowing students to develop their legal research and analytical skills. The Jessup Bench Memorandum (an addendum, never shared with participants, which provides judges with a basic core “check-list” of the legal answers to the case) often reflects just a mere fraction of the knowledge and research conducted by the participants. In fact, the Bench Memorandum doesn’t begin to touch the surface of what students come up with in their independent research. Judges are often amazed at the level of in-depth analysis and archival work that certain teams produce. Accordingly, Jessup offers knowledge that no classroom experience, in any taught degree, is ever capable of guaranteeing. The Competition is built so as to enable participants to dedicate a substantive amount of time for such autodidactic research. From the moment the case was released on September 12th, until 13 January 2017, when the written memorials will be due (and thereafter until the regional and national rounds), teams and competitors will work thoroughly and mostly independently on mastering the law. You will discover by the end of the Jessup that you have learned incredibly more about the law, from researching it on your own and teaching it to your colleagues, than you would ever do from reading another textbook in a black-letter class. Importantly, because Jessup is the most prestigious international law moot court competition today, it truly is the best place to study public international law. Where else will you learn how to identify a customary rule, or carefully interpret and parcel together treaty provisions? Where else will you be called to memorize entire sections of the U.N. Charter, or cite minority opinions of ICJ judges? In fact, Jessup is the only place where students are called to examine the lax lata in view of the lex feranda, to engage both the law as it stands with the law as it ought to be. Students are called to apply not only black letter law but also advocate for a position based on policy considerations and their extrinsic rationales. A Jessup competitor thus learns not only to think like a lawyer, but to think like a policy maker – taking into account the ramifications of his argument on the public world order. The student thus learns how to plead for a State, and not just a client. The result is that students participating in the Jessup become some of the more well-versed scholars on the law in their respected research area. Trust us, if you compete in the Jessup this year, there will be very few people on the planet that will know the law and practice surrounding UNESCO’s List of World Heritage in Danger or the Convention on the Law of Non-Navigational Uses of International Watercourses, better than you will come April. Sounds hard to believe? Try it and see for yourself. It often happened, in fact, that government ministries sought to reach out to Jessup students precisely due to their newfound expertise. The authors of this blog can attest to this. Following our completion of the Jessup, with the case that year involving the IHL obligation to investigate and compensate for violations, we were approached by a Commission of Inquiry which was working in Israel on drafting a report surrounding the same exact issues. Jessup fiction and real-life events intertwined once more, and we as former participants were better off for it. Of course, working for the Government is not the only venue by which participants can put their Jessup research into good use. Many Jessup participants have proceeded to engage with the legal issues posed by the Compromis as LLM, PhD, and JSD students, writing their master’s thesis and dissertations on the very questions they have encountered in the long months of the Jessup. Others proceeded to practice international law in various prestigious law firms or international organizations and some became academics who research international law. And there are those who have done all the above. The structure of the Competition requires each team to submit very detailed written arguments (the Memorials) for both the Applicant and Respondent. These written briefs are limited in terms of their space, given strict word count requirements, as well as in terms of their timeframe, with students being required to submit them by early January. It is the nature of the Jessup that each issue can be argued a hundred different ways, yet a written memorial only allows for so many words, and so teams debate each other in an attempt to sharpen their briefs and reach an agreed upon structure. Accordingly, law students have the opportunity to practice some of the most important lawyering skills – meeting deadlines, developing concise legal writing, and choosing between various authorities and legal arguments. To be sure, these briefs are worth 3 round points (out of a maximum 9), and on many occasions can determine the faith of a round. Notably, technical mistakes, in terms of style and structure, can result in penalties, forcing students to be extremely diligent in their drafting and editing. Law students thus learn the importance of the written pleadings, by putting an emphasis not only on substance, but also on procedural requirements. At the regional, national, and international rounds, students are required to develop a 45 minutes oral presentation of their claims. Teams are asked to argue their issues in a crisp, structured, and persuasive manner, while citing authorities for each of their points. You can wake up any past Jessup participant in the middle of the night and he will be able to read to you, out of memory, not only the opening and closing of his oral argument but also the wording of Article 38 of the ICJ Statute. And as the old saying goes – “the paper does not refuse the ink” (but an oral argument at the Jessup might). Indeed, once teams delve into their briefs and commence preparations for the oral rounds, they quickly identify the weaker points of their argumentation and come up with ways to sharpen their contentions. Thus, while many moots emphasize advocacy, debating, or writing skills, Jessup stresses all and more while teaching participants the fine arts of litigation. In fact, there is no other international moot that teaches students the difficult skills of oral advocacy. Teams are required to make their legal claims under strict time restrictions (with a bailiff raising time cards and imposing the time limitations), while answering questions being fired at them by feisty benches of Jessup judges (in fact, it is a trademark of Jessup, which the authors of this post are proud to have in common). Students learn how to eloquently answer legal questions, how to roadmap their arguments, and how to properly address the Court. Jessup is not only about law and legal pleadings; it is also about tactics and strategy which are very much embedded in litigation work. Competitors learn how to politely correct a Judge who got a fact wrong (and when for strategic reasons choose not to correct him). They learn when it is better to take a question and address it on the spot, or when to ask the bench to hold with you as you are “just getting there.” Students learn when to skip an issue, or concede a point, and how to quickly bounce between alternative arguments. More importantly they learn how to read a bench of judges and develop tools to get the bench to empathize with them as advocates. All in all, Jessup offers participants the opportunity to master an expanded list of priceless oratory skills, which are useful for law students both during their studies and in their later practice. To win the Jessup it is not enough to just ‘know the law and facts and apply the former to the latter in an accurate way’. After all, law is not an exact science, and the work of trial attorneys is different than that of a laboratory technician or a mathematician. Indeed scientists rely on postulations and previous theories. Jessup competitors, on the contrary, often have little-to-nothing to go on. Put differently, a team may discover that no exact specific case ever touched upon the issue they’re researching, and that no particular treaty administers the remedy sought after, and that merely a handful of papers were ever written on their question (and even they don’t agree on a single point). And yet… it is in this vacuum that best legal analysis develops. The fact that there is not enough black-letter law on many of the Jessup issues, forces students to rely heavily on legal rationales and policy considerations to support their claims. Participants are pressured to learn how to derive rules from divergent cases and how to distinguish authorities by their unique particularities. Students in the process draw inspiration from historical examples, academic theories, general principles of law, the values of the international community, the writings of legal philosophers, and the memoires of international jurists and scholars. This kind of creative critical thinking is absolutely invaluable. As any litigator will tell you, even more important than the legal rationales, is an overarching narrative that the advocate is trying to get across to the Judges. Jessup participants learn that in order to argue their case effectively, they must also learn how to convincingly frame the factual-matrix. Participants in the Jessup become story-tellers and truly develop the skills of weaving facts and law to form a persuading account backed by proper legal authorities. This type of skill is extremely useful for anyone who later engages in public speaking, legal or otherwise. The final element of the oral rounds is the rebuttal and surrebuttal. Most teams would agree that this is the hardest piece to master. No one rebuttal is like the other, and respondent teams get between one and three minutes to figure out how to rebut the rebuttal as they are literally listening to it for the very first time. You may call it “thinking on your feet”, we consider it to be the epitome of legal advocacy; and the winner takes it all. The authors of this post have seen many rounds that were won solely on the basis of a powerful rebuttal or surrebuttal. You can’t do Jessup alone. There is a reason why the Jessup rules do not permit a one-man-show whereby a single team-member comprises of the team. In fact, even teams of two members are extremely rear. Most times teams will be composed of four and five members, forcing students to work together. Whether you’re good at it or not, you are required to learn how to be “a team player”, as a successful Jessup team is as good as its weakest link. Teams eat together, sleep together, research together, argue together, strategize together, fight together, and make up together. The number of romantic relationships that were launched thanks to the Jessup is matched only by the number of romantic relationships that ended as a result of it. Whether you may like them on a given day or not, as a participant in Jessup, you will soon learn that your best friends from law school are those who have shared Jessup with you. Two examples come to mind: there is the case of the two members that literally became one (Grigory Vaypan & Aleksandra Ivlieva, who got married shortly after they won the Jessup together); and there is the case of the two Jessup authors who became three, giving birth to their child, who was born, of course, during the international rounds. Overall Jessup is a bit like Nokia, connecting people, in various aspects. But to achieve success, it is not only about working with your cohort of people. Jessup also stands for continuously opening doors for new members and new interactions. First, Jessup will help you to get to know your colleagues, from your own law school. The Competition is open to law students (JD and LLB) as well as to graduate and post graduate law students (LLM, MSL, PhD, and JSD), as long as the specific competitor in question has not engaged in legal practice (see 2017 rules on eligibility). Thus, a team may well comprise a combination of JD, LLM, and PhD students who do not study together, or a team of law students from different years at the same law school. In many respects “seniority” in law school, does not play a role in Jessup; for example a first-year law student may very well do better than an LLM candidate. Second, Jessup continuously expands its arms to include new teams from different parts of the world. This particularly concerns areas of the world where there might not exist sufficient opportunities for legal writing and research. Last year involved teams from such a diverse list of countries as Afghanistan, Palestine, Venezuela, Uzbekistan, Vietnam, Sri Lanka, Ghana, Macau, Kosovo, Kazakhstan, and Gambia, just to name a few. The competition not only brings teams and universities from all over the world to the same place, it actually brings people together. It is in the Jessup international rounds where you may see teams from two States who do not share diplomatic relations, or even may not recognize each other, working side by side in a pleasant open and friendly all-welcoming environment. For some teams, Jessup may be the first time they left their home town, their country, or met someone who speaks a different language. Awards such as the “spirit of the Jessup” which was created in 1996 “to recognize the Team that best exemplifies the Jessup spirit of camaraderie, academic excellence, competitiveness, and appreciation of fellow competitors,” and is selected by a vote of the Teams participating at the international rounds – has been a visible way of acknowledging the competition’s commitment to these values. To learn more about the tolerance and acceptance Jessup stands for and witness the battle of some Jessup teams at the international rounds, we urge you to watch “All Rise”, an award winning documentary filmed during the 2013/14 Jessup rounds. We guarantee that the trailer alone is enough to make you want to watch the rest, let alone participate in the competition for yourself. More so, as a truly international competition, the state of origin of the competitors is truly hidden from the Judges and ILSA tries to promote an equality of arms amongst teams, who obviously come from different jurisdictions and have diverging levels of access to academic resources. As Judges in the competition, both authors of this post can attest that we never really know who argues before us. We sometime attempt to guess based on accents or certain court mannerisms, but we know that we are doomed to fail. Similarly, all teams are subjected to the same rules and deadlines. All of them receive the Comprimis at the same date and submit their written memorials by exactly the same time. They are all privy to certain batches of resources provided by the compromis authors to assist researching teams, and may be further assisted by ILSA in cases where their library has limited resources available. They engage the same legal questions, are prohibited from sharing or discussing their research with other teams, and are called to abide by the same rules of anonymity (see rule 2.17 of the rules of the competition). It is thus not surprising, that non-English speaking countries hold some of the more impressive track-records in Jessup, and one can only turn to last year’s champions, the team members of the Universidad de Buenos Aires of Argentina. Due to the diverse nature of the competition, Jessup also offers a unique chance to interact and network with law students, practitioners, and academics from all over the world. In other words, Jessup enables law students to meet their future colleagues and learn from them about possible career and educational paths and opportunities. The most incredible thing at the Jessup is to see a participant engaging in a conversation with the very scholars whom they have cited in their briefs. Let’s just say that a full blown international law nerdapalooza soon ensues. The fact that Jessup has been sponsored by some of the biggest law firms in the world (Shearman & Sterling and White & Case to name a few) as well as by top Chambers and practices in each of the various participating jurisdictions, who seek to recruit successful participants – is highly indicative of the skills required for the competition and its perceived status. If your law school days are long behind you, and you did not participate in the Jessup when you could, please don’t get disheartned – that absolutely does not mean that you can’t get involved now. Every year ILSA looks for new members to join its ranks as advisors, coaches, administrators, volunteers, memorial graders, Compromis authors, and round judges. 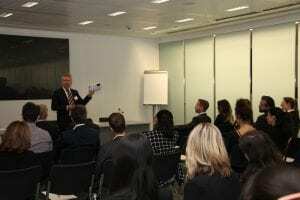 You will grow through the process, learning the materials with the students you coach or advise and shaping the future of the international legal profession. In fact, one of the authors of this post changed her career completely after judging the DC international rounds. Careful now, Jessup makes you rethink things. Combined together Jessup helps form a community of international legal scholars who share a vision for the world and an interest in its further development. This group of exceptional individuals, whom you gain the privilege of calling your colleagues, friends, mentors, and drinking buddies, all continue on to do incredible work worldwide. Jessup has a history that spans nearly 60 years, which means that thousands of highly qualified lawyers and academics are amongst its alumni. It is thus not surprising that many current and former judges and justices on national and international instances have been involved in Jessup. It is also not surprising that some of the leading partners at law firms and other leading practitioners competed in Jessup at one point or another. Similarly you will find former Jessup participants as politicians and businesspeople, and in your law school at least one of your lecturers (probably your favorite one) will too hold fond memories of his or her Jessup glory days. So please get involved with the Jessup, find out whether your school already has an established team and see what you need to do to join it ranks. If it doesn’t – start one on your own with the assistance of ILSA. If you are already a lawyer or scholar, get involved with the competition as a coach, advisor, judge, or administrator. This competition can only grow on the basis of the commitment, dedication, and hard work of those who support it and its values. It falls on all of us to do just that.